I. 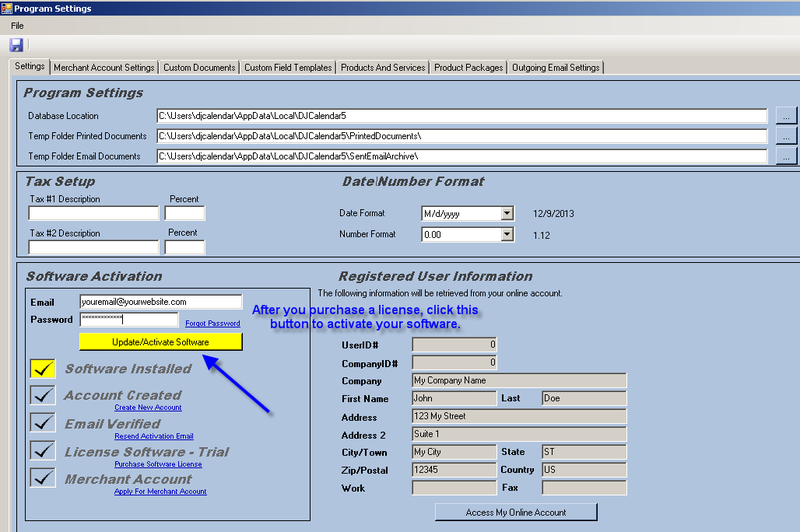 Print Contract, Invoices, etc..
Once You Download And Install DJCalendar V5.x, Go To The Setup Form To Activate Your Software. 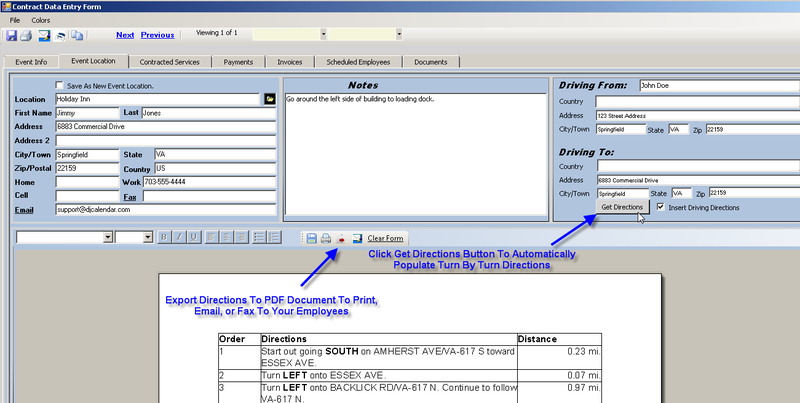 Your Company Name And Address Information Will Be Printed On The Included Documents Once You Register Your Software. Repeat these same steps to activate and convert your trial version to full version after purchasing a license. To Register DJCalendar, enter your email address and password and simply click the Update/Activate software button. The information you entered on the order page will be transferred to your software. You can update this information at anytime by logging into your online account . 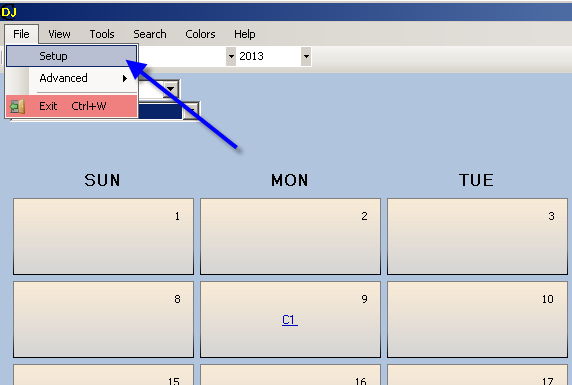 Next, From the main calendar, select "File" from the menu bar, then select "Setup". This will take you to the setup form where you can add and customize your products and services. You can also add Categories to organize your products and services. 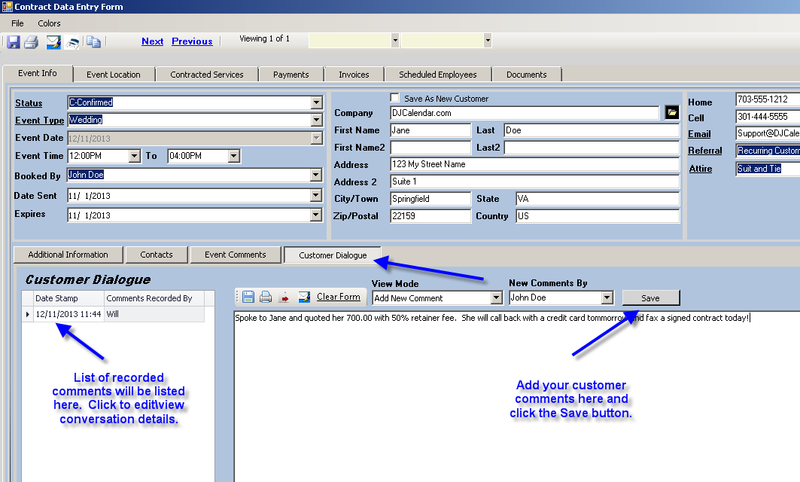 Setup Your Email Settings So You Can Email Your Custom Forms, Contracts, Invoices, Payment Receipts To Your Customers. 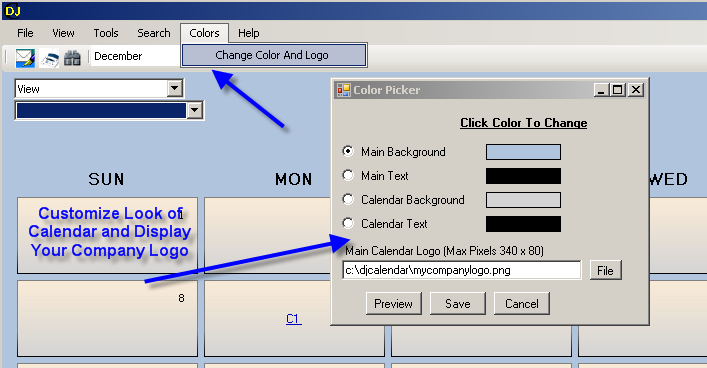 To Customize The Look And Feel Of Your Calendar And Add Your Company Logo...simply click "Colors" from the menu bar, then select "Change Color And Logo". 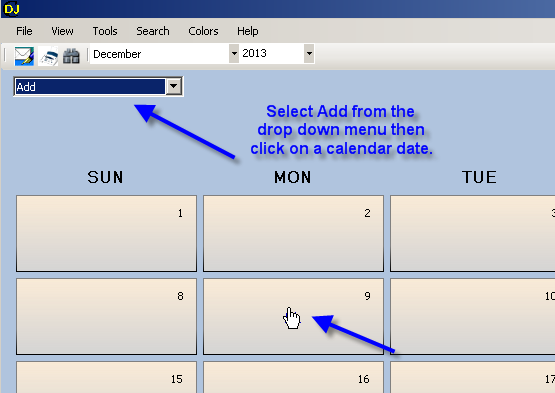 A quick pop-up form will appear and you can fill out the Default Event Information and click the "Add New Event" Button. The following is the main contract form. This contract form provides the default fields for capturing information but also provides you with Additional Information section. 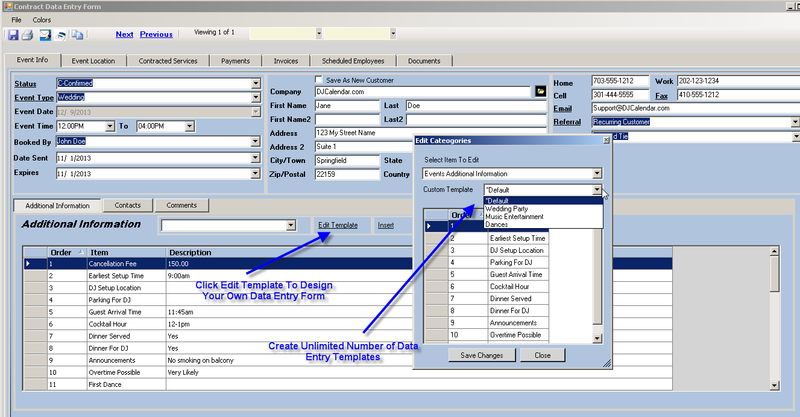 You can Design Your Own Data Entry Form which suits your business. 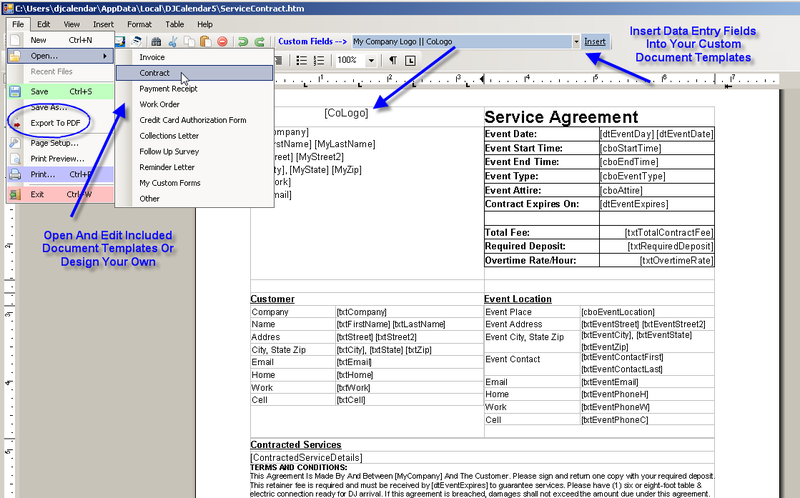 You can setup many templates with different fields...and add them to your event when necessary...see screen shot below. New Mapquest API feature...simply click the "Get Directions" button to automatically populate form with Turn By Turn Directions. 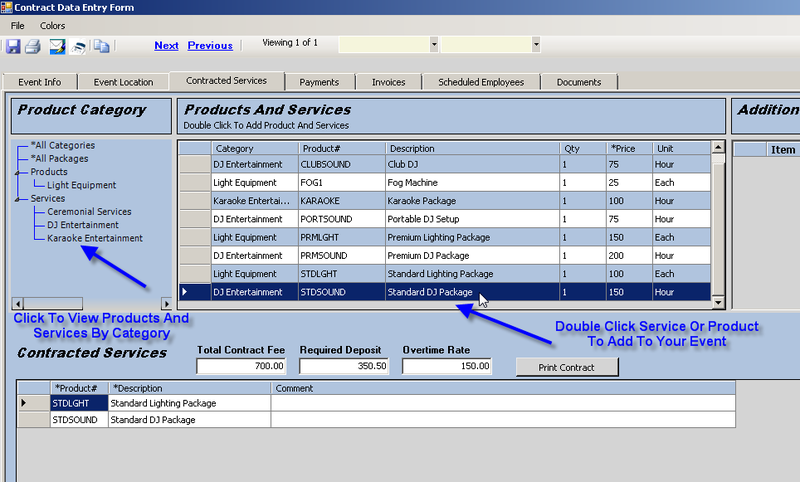 Select A Product Category and Double Click your product or service to assign to this event. 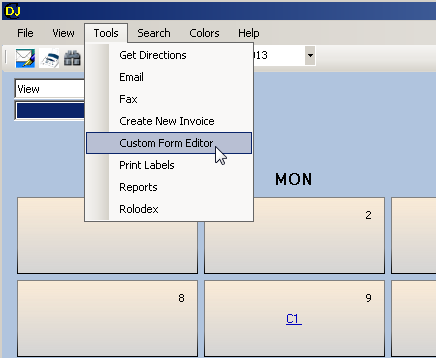 Print Your Custom Forms From the Print Menu. 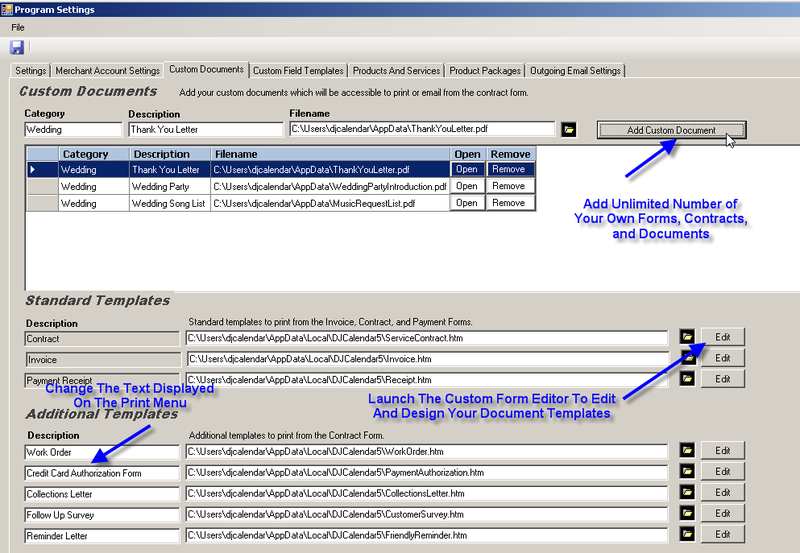 To edit the included document templates or design your own Custom Contracts, Invoices, Document Templates etc...go to the "Custom Form Editor"
Click "File" from the menu bar, then select "Open" to edit the included templates or design your own custom documents. 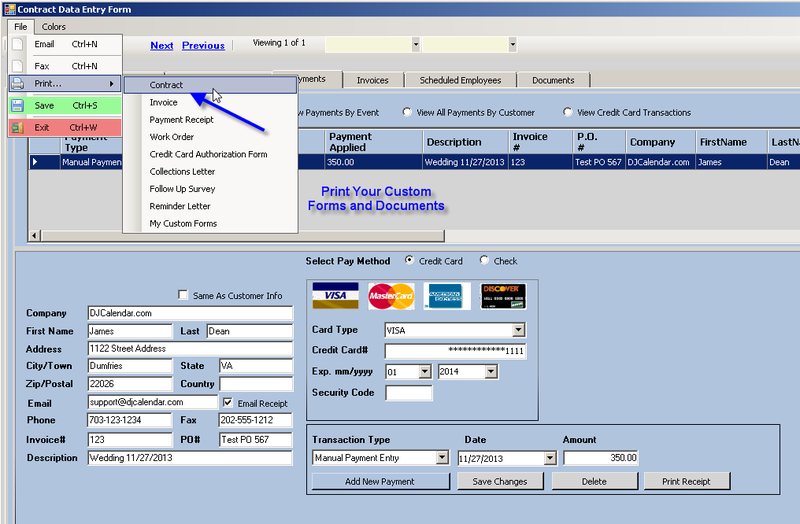 You can include an unlimited number of custom documents to make available to print from the contract form. You can set up new or modify existing on the Setup Form.